I just updated this website with 44 new images within all categories. You can visit the Current gallery for an overview of these new images, or visit the individual galleries for a more comprehensive experience. I truly hope you enjoy the new work. Exciting plans are being crafted for the future of this page (and my photographic goals in general) that I hope to share soon. The below image was from Venice. 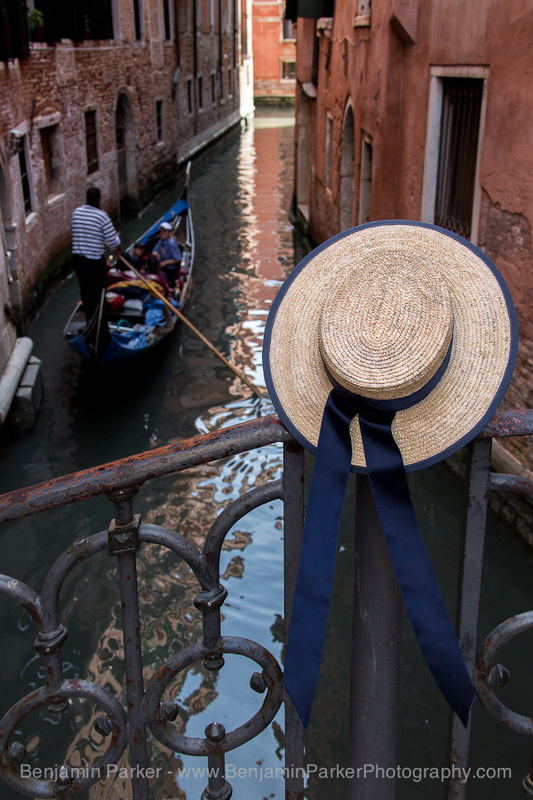 A gondolier, while waiting for potential customers, had removed his hat for whatever reason. This setting provided a perfect foreground for the below gondolier paddling down a canal. I'm sure the hat's owner was puzzled by my desire to shoot 20 pictures of his hat. I'd say it was worth it.